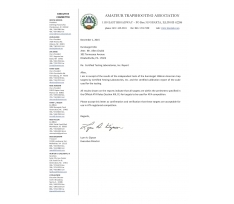 "As announced in our letter of December 2015, to show our thanks for loyalty and support to our federation and the development of our sport, we are pleased to inform you that your company has been honored for 2016 as World Fitasc Partner"
On December, 1st 2015, following a report of the Certified Testing Laboratories, Inc, the ATA - Amateur Trapshooting Association, approved the American Trap Target, made by Eurotarget, as accepted for all ATA - USA competitions. 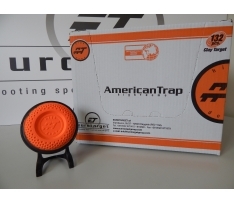 We are proud to declare that the American Trap Eurotarget is the only authorized by the ATA. On the evening of Thursday, October 8 there was a convivial dinner with the leadership positions of Eurotarget Srl and Trap Concaverde. 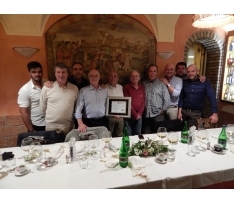 During this dinner, was donated, from Eurotarget Srl, a plaque of gratitude to honor 35 years of collaboration culminated with the latest exciting ISSF World Championship which saw the couple again, ET2000 targets and Trap Concaverde, achieve another great result. 35 years, 35 wonderful years of cooperation between the Eurotarget Srl Reggiolo and Trap Concaverde Lonato; and not in case has been used the term "cooperation" as the link between the two companies has never been uniquely represented by supplies of targets, but often the Italian shooting range was inspiration and reference, to achieve more and more quality on the Environmentally Friendly targets produced by Eurotarget Srl. 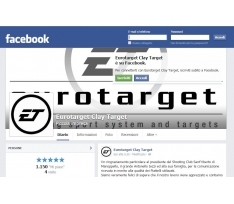 Eurotarget is on Facebook, check it out! 199 out of 200! 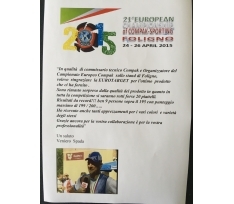 This is the score by which the Russian Ayal MAKAROV graduated 2015 European Compak Sporting Champion at the Olympic Club of Foligno. 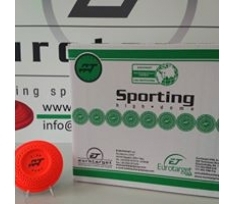 And our friend Veniero Spada thanked Eurotarget for the support and the quality of the plates ECO who made this great achievement. Thanks also to you Veniero! Thanks to the efforts of the Eurotarget Technical Department, today is born the Black Rim version of our American Trap High Dome target. To meet all the needs of the world market.